Head to the state&apos;s first destination golf course at SentryWorld, the newly renovated Stevens Point Country Club, or the Wisconsin River Golf Course. Before the season kicks off officially, head indoors to the golf simulator at SentryWorld to perfect your swing for the upcoming season. A must-see spot to check out? The Flower Hole at SentryWorld has more than 30,000 blooming flowers and a different design every year. Or, head into the pro shop and see it on a large mural. If you&apos;re hungry, don&apos;t skip the 19th Hole restaurant at the Wisconsin River Golf Course. 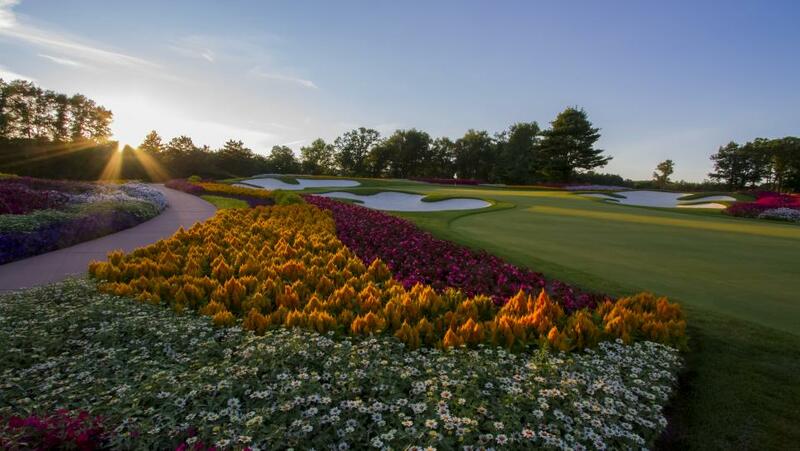 Coming up in July, SentryWorld will be hosting the U.S. Girls&apos; Junior Championship which was established in 1949 and is 1 of 12 USGA Amateur Championships. This is the first time the event has been hosted in the state of Wisconsin! Join the fun this July as spectators are encouraged and welcome to attend the U.S. Girls&apos; Junior Championship, free of charge. Prefer to be a part of the event? Volunteers are needed! SentryWorld is looking to have 250-275 volunteers in roles such as practice area attendants, walking scorers, caddies, marshals and forecaddies. Learn more about the U.S. Girls&apos; Junior Championship and sign up for volunteer opportunities here. Looking to plan a getaway in the Stevens Point Area? Order a visitors guide and find more ways to have fun this summer outdoors in the Stevens Point Area here. Then, share the fun, by including @stevenspointarea on Instagram, or using hashtag #StevensPointArea.